1. The DoD buys/develops the engines separately. This has been the general practice pretty much since at least WW2. Lockmart has no real say in the matter. 2. The costs will still be lowering (in constant year dollars) over time if volume is allowed to increase. Even mouth-breathers should be able to grasp the idea that the lowliest 'econobox' Kia or Hyundai would cost a Gazillion Dollars each if you only built a handful a year. Poseurs of lower intellect will also b*tch about hidden/other additional 'development costs'. This would only be ethical (or even accurate) if you also give credit for ALL benefit derived from other current and future applications of the technology/knowledge gained by F-35 development that does NOT involve the F-35. Which is for all practical purposes "unquantifiable", as knowledge does not expand along a nice linear progression that accountants so dearly love. All is proceeding as I have forseen. The F-35 Issue: 'Food' for Thought? Someone in Italy named 'Gherardo Albano' has an internet ‘editorial’ up that was linked to by AV Week (for some unfathomable reason). The title: “The F-35 Issue: Food for Thought”. But the intellectual gruel he offers is so thin, that if it were real food, an anorexic supermodel wouldn’t bother to throw it back up. It is so bad, I decided to Fisk it here for posterity. The editorial is in italics. My comments are in purple. UPDATE #1 29 July 13: For 'some' reason, you may have trouble getting to the site in the above link to original post under examination. I'm getting feedback from a couple of people that the link is "broken", yet the link when entered into the browser works fine-- It is almost as if the traffic to the link is being blocked when accessed from this site (who knows?). If the link doesn't work for you, type:" http://www.lindipendente.eu/wp/en/2013/07/13/f-35/ " without the "" marks in your browser. These days there’s a big discussion on whether Italy should buy 90 Lockheed Martin F-35 Lightning IIs. The aim of this article is to analyze the overall picture within which such an important decision should be taken. In particular, there are two separate fields of analysis, one purely military and another related to economic issues. Let’s analyze them separately. Sounds acceptable for the purposes of sharing information…so far. I note here, however that we must remember that ‘Economic’ Power is an equal to Military Power as two of a Nation’s Elements of Power. They support each other and the Nation itself. Rarely does an author open an argument with a logical fallacy, in this case a “Non Sequitur”. Usually, employers of this tactic try to lull an audience into a stupor before they try to slip one of these by their readers. Note: There’s a dash of “Begging the question” here as well, where something is first expressed as a presumed truth, and then later used to fallaciously support a claim or conclusion. Casual readers, especially those of a like-mind with an author, might still miss his use of this logical fallacy because it is executed en passant; carefully avoiding the unwritten non sequitur (“it does not follow”). The ‘does not follow’ part isn’t expressed, but is presumed as unspoken fact to support the arguments that will soon follow. I wonder if the author has legal training because this has the flavor of an ‘opening argument’, otherwise I have to doubt the author was even aware of his transgression. This does not bode well for the rest of the opinion piece, for it hints that the author is a ‘true believer’ of some sort. The only question is: a ‘true believer’ in “what?”. My main concern at this point now is how much will Albano’s remaining argumentation will rest on ‘beliefs’ instead of ‘facts’? UPDATE #2 31 July 13: I initially was going to refernce this link to punch up the point that we tend to not see (cognitive sense) 'coming', the wars we end up fighting: 25th Annual Military History Seminar- the Keaney Session , but thought it might be a little overkill. I've revised my thoughts on the subject, in part as a response to reading the first part of "Unknown's" comment in the thread for this post. …Of course this does not mean that we can dismantle the entire military. Defense continues to be necessary to every nation, in the present geopolitical framework, including peaceful countries such as Switzerland and Sweden, and certainly cannot be dismantled if it cannot be restored quickly in case of emergency. Ahh! Pabulum designed to allay fears concerning the author’s reasonableness: An observation that only the most rabid anarchist or peacenik might find objectionable. Are we being ‘lulled’? As far as we are concerned, the Italian Air Force now has a line of flight divided between air defense, consisting of about 72 Eurofighter Typhoon, and attack, consisting of 36 AMX International AMX and 48 Panavia Tornado PA-200. Then there are of course all the other non-combat operational units like tactical transport, refuelers, rescue, VIP transport, training, and so on. The Italian Navy has about 15 McDonnell Douglas AV-8B Harrier II Plus aircraft characterized by the ability of short take-off — the vertical take-off is militarily marginal — and short or vertical landing. This capability is an essential but expensive element of protection of the fleet which makes it different from most of the other navies in the world. The audience is thus presented with a description of how the author, using a ‘Royal We’ editorial style, views and mentally organizes the Italian Navy and Air Force. I have no problem with the explanation, except perhaps the last sentence. 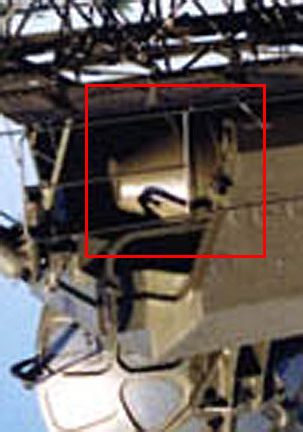 It makes an assertion that may or may not be true as to the uniqueness of the Italian STOVL capability and relevance to the fleet. But the assertion is completely unsupported, and I imagine there are several arguments that might be made against it (one comes immediately to mind). I note here that I wouldn’t disagree with the author on this point. The last sentence expresses a presumption the readers are expected to simply accept as ‘fact’. We will see later that this sets up a ‘STOVL capability of the F-35B will be essential because I say it is essential’ argument: the author presents more build up to his “begging the question” fallacy. The combat aircraft lineup is now a dim memory of what it was in the eighties, when during the Cold War there were more than 200 aircraft for air defense and 350 for the attack role. They have already been reduced due to the organic decrease of the external threat. What remains can be considered a core of resources, human, material and methodological facilities to maintain the expertise, knowledge, methodologies and a minimum of military capability in case the need arises. I have no major problem with this part except the view of ‘military capability’ as expressed is rather sophomoric. The confused taxonomy listing ‘military capability’, which is a combination of knowledge (expertise), methodologies (along with missing ‘hardware’ and ‘doctrine’), in the list itself may be a translation error. I believe a far better ‘book’ definition of military capability can be found in the definition of the Military Element of a nation’s power. It is clear therefore that cutting or reducing it further would mean loosing [sic] a capability that needs between 5 to 10 years to build up again if a serious threat becomes visible. Italy would rebuild their forces almost from scratch hoping to have the time to do it. New combat-ready rookie pilots would need about 5 years. Ordering, receiving and organizing for new aircraft, performing maintenance, recruiting technicians, would again require between 5 and 10 years. In the case of the Navy, rebuilding would take much longer if we were to lose the aircraft carriers. No. And though I’m tempted to go into excruciating detail why ALL of the author’s imagined timelines to reconstitute a force are pure hokum, I will resist the urge and merely point out the timelines appear to focus only on a time to train up the end-use operator/maintainer. Even if you get a cadre of “new combat-ready rookie” pilots in 5 years (a highly suspect assumption as-- unlike the children of Lake Wobegone-- not all fighter pilots are ‘above average’), how long will it take to train up enough force leaders that have the experience and knowledge/skills and doctrinal support to lead them? I’ll call this “B.S.” but am willing to retract same if anyone can show me a contemporary peacetime military organization that has developed, fielded and employed an advanced military capability after replacing an existing capability much less creating a new capability in under 10 years…. ”successfully”. The 5-10 year time span offered clearly provides nothing for the organizational, doctrinal and infrastructure development required to actually field and execute military power by a modern homogenous society, much less a Western democracy as fractured politically as Italy (or the U.S.A. for that matter). The above considerations lead me to say that maintaining a capacity in the defense sector by replacing aircraft that reach the end of service life with more modern and competitive aircraft (relative to hostile forces) is a crucial need. The alternative would be a great risk for our country given the current geo-political instability worldwide. Other than the “above considerations” shouldn’t lead anyone anywhere, this may seem reasonable…on the surface. We will soon see how the author defines “more modern and competitive aircraft”. Guess what he leaves out or diminishes? Any bets they involve aspects of combat aircraft design that F-35 was built upon? The attack aircraft in question will still need to be replaced over the next 6-12 years for reasons of obsolescence and useful life. The older a plane becomes, like a car, the more maintenance costs until the situation becomes untenable. This is what is known as the “setup”. I always look for this part on a point of argument. It is where your debate opposition states something he doesn’t expect an argument over then delivers a contrarian ‘but’, as in “Yes. Blah blah blah, but XXXXXXXXXXXXXXX.” Some of the best advice I ever received was from an Air Force Lt Col (Engineer) during TASVAL79 who told me: “Always remember Mac, everything before the ‘But’ is Bullsh*t. The setup indicates we are about to be spoon-fed the Bullsh*t.
Also note the author lists “obsolescence” and “useful life” yet only just touches on one aspect of the impacts at the end of “useful life”. I’ll buy that, but for reasons I already know. WHY does the author think they (or the other aircraft for that matter) are “technologically obsolete”? It seems the author is twisting himself into contortions avoiding the details concerning what makes a fighter aircraft “obsolete”. Even if it were true, 5-10 years is ‘tomorrow’ even if you have a replacement in hand. I note (again) the author is using a form of “begging the question”: we are expected to accept his claim is ‘true’ because he states it as a ‘truth’. • AV-8B Navy aircraft have 20 years of operating life and do not need to be replaced now, but in the medium term, unless unexpected problems of maintenance arise. Assuming the Italian AV-8’s haven’t been flown into the ground and won’t be in the future, I’ll buy 20 years on the airframe durability. But an airplane is far more than just the airframe, and the author somehow fails to mention the relative obsolescence of the AV-8 design itself. Oh, and about the authors last turn of the phrase using the weasel words “unless unexpected problems of maintenance arise”: In my 40+ years of aerospace experience “unexpected problems of maintenance” have never failed to “arise”. Why assume otherwise? Has anyone seen any ‘narrowing down’ yet? I didn’t either. 2. replace the AV-8B with F-35B and all others with more Typhoon, Tranche 3, which have advanced attack capabilities. 4. retire some/all Typhoons in recognition of the inherent Air-to-Air capability that F-35As bring to the Air-to-Air fight. This suggests that for the Navy it is important to buy the F-35B while the Air Force has in fact two possible choices. Let us see the features of the two possible candidates. Well, since the author saw fit to selectively attenuate his list of options ahead of time, of course he would reach this conclusion. “Not proceeding well”. One may argue the point using the “as compared to what?” other modern (last 50 years) and similarly advanced technical development efforts or even to simply other large, highly complex, government programs-- as the F-35 program fall into both categories. I would therefore challenge Mr. Albano to name one program in either category that did/has not experienced as many or more challenges than the F-35 program. I also challenge him to name any of them that did a better job of dealing with them than the F-35 program has to-date. This is the kind of simplistic thought that makes my Aerospace Engineer blood boil. But on the plus side, it provides me yet another opportunity to quote a favorite: J. R. Pierce. “Let’s say?”—This is yet another ‘Begging the Question’ logical fallacy, only this one is a ‘twofer’: two popular, yet unsubstantiated/perverted criticisms in one. They are: 1) ‘Concurrency’ and 2) ‘STOVL Requirements adversely affected CTOL and CV designs’. 2. 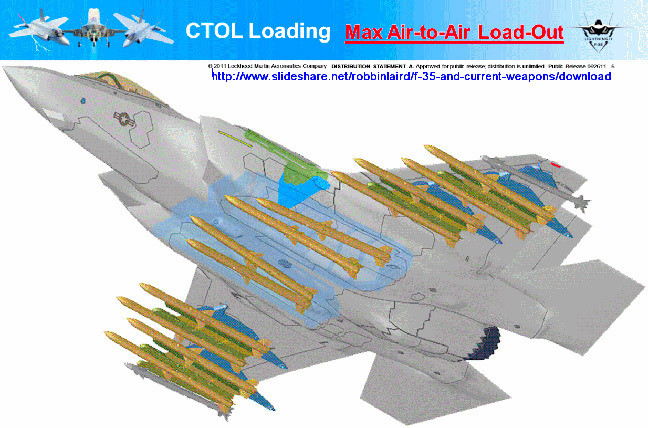 STOVL Requirements adversely affected CTOL and CV designs. This is perhaps one of the most tiresome canards propagated by the anti-JSF crowd. ALL aircraft design involves tradeoffs. In the case of the F-35, the dominant tradeoffs were made between the requirements to perform air-to-air and air-to-ground missions. In all the assertions that the F-35’s design was ‘compromised’ somehow because of the STOVL requirement, I have not once read once ‘how’ the design was allegedly ‘compromised’. The author can’t name one any more than any other before him. The most dominant ‘F-35B unique’ requirement in the total design effort was ‘low weight’ in support of the STOVL operation. If anything that requirement drove better F-35 CTOL/CV designs as well. There are perhaps some dimensioning restrictions in the design for ship-borne operations, but even with those the most a critic could claim is that they ‘might’ have driven a different (not necessarily better) design than the F-35A model would have been as a standalone design. NOTE: from this point forward, Albano’s opinion piece really starts rambling all over the place so I will be inserting comments in brackets as often as possible. If his thoughts were better organized, I would have been finished yesterday. If I don’t use brackets […], I would have to chop up his sentences as well as his paragraphs, making it even tougher for the reader to follow. … In any case we are talking about a highly advanced aircraft not only for the use of new stealth technology — which basically means opposing radar has difficulty in detection — but also for new production technologies and the integration of a lot of electronics called sensor fusion — to put it simply, allowing better awareness of the situation around the aircraft. Mr. Albano obviously has no idea how important Low Observables and F-35-grade Sensor Fusion are to the modern air combat equation judging by how this entire piece is written. The “difficulty in detection” is a “damning with faint praise” fallacy. Low Observability disrupts the entire kill chain at every step, from attempts to detect to terminal weapon end game, and forces an opponent to have to begin the process all over again when the chain is broken. Cost for purchase and maintenance remains to be firmly determined, which will be discussed later. Yes, it is all just ‘estimates’ now. Just like the future costs of any aircraft, even ones that are now flying, So?. The alternative to the F-35A is the Typhoon, a European project which is already mature owing to further development with the so-called Tranche 3 (T3) that Italy should acquire, funds permitting, to complete the line of air defense. [Italy isn’t buying the F-35 to replace the Typhoon in the Air Superiority mission, so what is Albano’s point?] The T3 develops the plane incorporating a new type of AESA radar and new types of weapons for air-to-air and air-to-ground combat, increasing significantly the military value and configuring it as a true multi-role aircraft. The Typhoon does not have stealth technology, but has top rated kinematic capabilities — speed, acceleration, turning — and self-defense exceeding the F-35. [No. See earlier comment about kinematics and exchange rates] For comparison a Typhoon has at least six missile, has wider antenna coverage and can go higher and faster. 'Wider’ antenna coverage? Does he mean scan angle? Is he talking about the current or future EFA radar? In any case this can be countered by the F-35 changing operational techniques, so “So What?”. The Typhoon is far more observable at every range and angle with far less situational awareness than an F-35. It can go higher and faster than an F-35… sometimes. Such as when it’s not carrying any significant go-to-war payload. The plane on the left can carry two 2K lb precision weapons and 2 Air-to-Air Missiles to 50K ft+ and fly 1000+ nm and dash at M1.6 in this configuration. The plane on the right with the same load? Not so much. Ah. Cherry-picking a timeframe. How about for the next 30-40 years? The Typhoon conceptual design is already 30 years old, based on even older requirements and designed for a different (pre-stealth) age. It will be lucky if it is viable in any scenario in 15 years. I’ve lost count of the assumptions, myths and half truths presented in Albano’s piece as ‘fact’ that we’re expected to accept. These are two more. First: Low Observability. LO is a combination of technology, techniques and tactics. It is no more ‘static’ than the efforts to defeat it, and it is always developed and applied with an eye towards of continuous improvement. This is yet another case where someone with no actual background assumes the LO an aircraft starts with, is the LO it ends with. 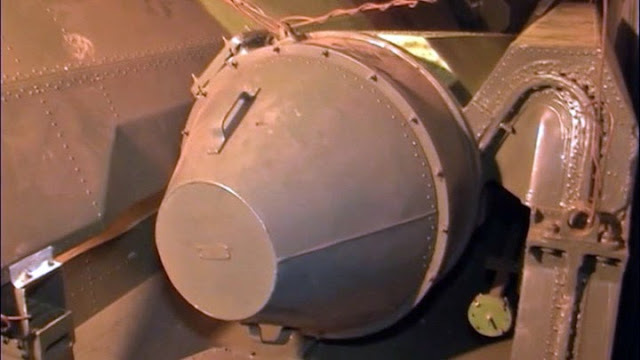 We do pre-planned product improvements on all aircraft systems, and operational techniques always evolve over time, What makes anyone think LO is any different? Albano needs to start someplace on this topic, so he can start here, and I’ve already provided the link to Grant’s Radar Game. Second: LO High Cost of maintenance. Mr. Albano has obviously missed all the discussions on how the F-35 had LO supportability designed-in based upon experiences of the past. If he were a serious student of maintainability and supportability, he would have observed that in all the reports that have criticized the F-35 to-date, there have been none -- zero, zilch, nada -- that have criticized the F-35 Sortie Generation Rates. You don’t get the SGR you are looking for if you have excessive maintenance burdens of any type. Need I point out that Albano is again ‘begging the question’? And over a point tangential to the reasons the Italians are buying F-35s in the first place? I’d like to also pose the question as to “How great are you at air defense?”, if low observable opponents will most likely ‘see’ you before ‘you’ see them? 4. in the attack role the F-35 is invaluable in the event of a confrontation with technologically advanced opponents in the early days of the war when air defenses are fully functional; when the fight shifts to trucking bombs, the two aircraft are substantially equal. ‘Substantially equal’? This is ‘begging the question’ again. Does the Typhoon have anything like the F-35’s ability to distinguish friend from foe on a fluid battlefield? Does the Typhoon have anything that provides a pilot with a clear view of the target in the day, night, in any direction and in all weather conditions? More importantly, can the Typhoon do so with a reasonable expectation of not being successfully engaged by Surface-to-Air threat? As proven in Operation Allied Force, where the Serbians elected to shepherd their air defense resources, you can never be certain to have eliminated the Surface to Air threat, you can only have varying degrees of confidence you have been able to attrit/mitigate it. Flying a non-LO aircraft over hostile territory is an invitation to eventually get shot down. How “equal’ a bomb-truck can a Typhoon be if attrition is factored in? Answer: not very equal at all. A single flight line on the Typhoon would have major economic benefits for training, spare parts and so forth while the same proposition cannot be said for the F-35 since it is not an interceptor. We now see Albano, having praised the secondary strike capability of a Typhoon, making no examination of the F-35’s capabilities in the Air-to-Air mission. While no doubt the F-35 would have to perform the mission differently than a Typhoon (the Typhoon’s great top speed in a relatively clean configuration is a direct product of the ‘Interceptor’ mission requirement),it has not been shown that the F-35 could not perform the mission. 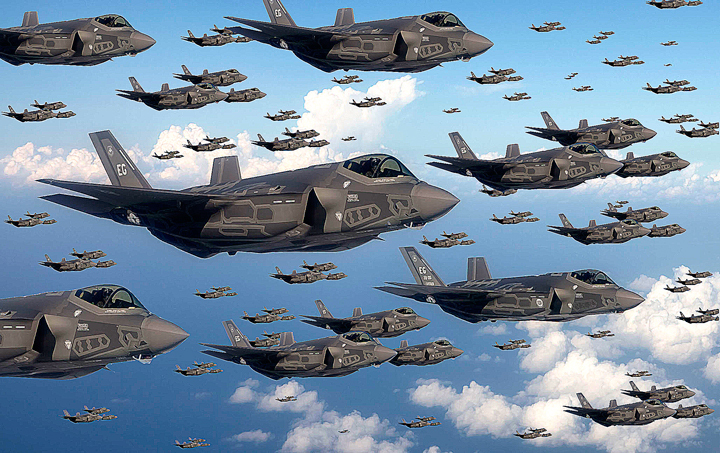 If viewed as a ‘fleet’ vs. ‘individual fighter capability’ could an argument be made that an “all F-35” fleet in greater, same, or fewer total numbers than a combined F-35/Typhoon fleet could perform both A-A and A-G roles? Has Albano reduced this effort to a EFA Typhoon advocacy paper? In the future, industries are developing unmanned combat aircraft vehicle (UCAV) stealth such as the X-47B. These are designed, much like the F-35, to carry out attacks in extremely dangerous air defences. Therefore, the specific strength of the F-35 could in the future be better carried out by a European UCAV. The X-47B just now completed the technology demonstration step in the combat UAV evolution. Whatever the follow-on program produces if it even materializes, it will still be only the first step on a long journey that will take several generations of developments, and still, it may never make the manned combat aircraft 'obsolete'. File this under ‘wishful thinking’. Regarding the choice of the Air Force to ask for 60 F-35As and 15 F-35Bs, I consider that, assuming we stick to the F-35, the best solution would be to buy all F-35As because: the B version costs 30% more than the A; is, performance wise, inferior to the A version; but most importantly because the operational motivation is rather weak. In fact, the F-35Bs were required by the Air Force to be used in support of expeditionary situations where adequate runways are not available. If this is the need, then it would be more effective to use F-35As for the Navy, considering an increased purchase to 20. To save money, in case of F-35 purchase, a unified management of today’s separate lines of flight of the two armed forces, including training, should be enforced. This part is so disjointed I hardly know where to begin. First the F-35B is essential for the Navy because it can operate off the Cavour. Now the Navy should buy land based versions? The author’s ‘logic’ holds only if the Navy never goes farther asea than where the land-based F-35As can support it. While throwing around a ‘30% higher cost’ number is Albano aware that the STOVL sortie generation rate specification is about 33% higher than the F-35A or F-35C? What ‘costs’ are he using to compare F-35A and F-35B unit costs? Is he aware the program is managed to minimize total life cycle costs instead of initial procurement unit costs? Is he aware that in a 25-30 year weapon system lifetime, typically 2/3rds of total costs are in sustainment? The Typhoon is a plane in which the domestic industry’s original share — design and production — was 21%, but in the case of additional, future purchases may be negotiated higher. [Very nice. Good luck with that. How many future EFA sales are expected? A large percentage of “very little” is ‘not much’. ] Also with the manufacturer of the Typhoon consortium, in case of additional purchases, or beyond the commitments entered into with the consortium, you could negotiate a package of financial compensation even exceeding 100%, just like the big world buyers (India, Brazil, Korea, etc.). In addition, the extension of the production of the Typhoon could lead to further sales abroad, with additional financial benefits for Italy. In light of the procurement history and dearth of potential customers, that sounds like an awful lot of wishful-thinking to me. The Eurofighter program cost and schedule history make the F-35 look like a model acquisition program. In contrast, the Italian share of the F-35 project is 4% for Development and is not assessable for the production, as the supply tenders are still in progress. Italy has invested over the years about 1 million U.S. dollars in the development of the F-35 and so did Finmeccanica partnering with the MoD for the “FACO” in Cameri. We must consider that, while the percentage is lower, it is on a much larger number of planes and a hypothetical 4% of 2,000 aircraft is comparable with a 100% of 75 aircraft. Technologically, Italian companies are fully conversant with Typhoon production technologies while those of the F-35 are partially unknown. The original contribution to the development of the F-35 was finalized contingent on the acquisition of new technologies for Italian companies, but the U.S. has severely limited these knowledge transfers. [It should be noted here that is precisely the kind of criticism the F-16 Multinational program dealt with in the early days. We must observe that the technological benefits received by the partner nations brought most of them back for more with the F-35. This smacks of frustration borne on wings of unreasonable expectations.] In addition, if Italy will purchase F-35s, any national enhancement, update or integration cannot be performed without U.S. approval and involvement, so the F-35 should be considered a “limited sovereignty airplane”. Not true. But a commonly repeated oversimplification often committed by people who ‘think’ they understand how the F-35 software design works. The author is apparently unfamiliar with MILS or EALS-7 . Users will be able to ‘nationalize’ their own aircraft if new systems are required and add weapons (the aerospace equivalent of adding an ‘App’) if they wish. But the idea behind the common core software design is to ensure commonality and in turn reduced software maintenance cost over the life of the program. Canada, Australia, and the UK are planning to jointly develop a ‘reprogramming laboratory’ of their own (page 77). There is nothing stopping Italy from doing the same on their own or in concert with another partner nation. In my view, the purchase of the F-35 should be only for the 15-20 copies for the Navy, to be purchased along a period of 7 to 10 years from now, allowing the maturation of the aircraft and the reduction in purchasing costs. To date, a fully operational aircraft is scheduled for 2019, if there are no serious problems on software development, a key component in the present day for a fighter plane. The Air Force, in contrast, has a technological option that makes it possible, even if with operational differences, to purchase the F-35A or the Typhoon. Only if you actually believe the Typhoon will be effective and survivable for the next 30 years or so. It is my opinion that it is useful, both economically and industrially, that Italy, since there are no orders signed besides 3 F-35As, reviews in detail the alternatives, requiring two offers, with guaranteed costs and industrial compensations, for the two alternatives: Typhoon T3 and F-35A. The timing for the purchase of the 75 aircraft, may be over a fairly long period and without immediate financial commitments. In case of confirmation of the F-35, it would be desirable that the purchases were delayed until 2018 to 2020, in time to start replacing the AMX. Oh yes, because everything is always cheaper if you stretch out the purchase and do it later (/sarc). Apparently the author has never heard of Economic Order Quantities. This would be a nice as we consider the current crisis that does not allow for non-essential digressions. Defense cannot be neglected, but we can certainly wait a few years before deciding and purchasing. Mr. Albano’s screed is ill-conceived, poorly written, drivel. It remain so even when allowing for what must be lost in the English translation. He presents nothing more than a laundry list of unsubstantiated and/or perverted anti-JSF complaints with a dash of pro-Eurofighter ‘feelings’ (vs. fact). In law, it is said that if the facts are on your side then argue the facts. If the law is on your side, then argue the law. If you have neither the facts nor the law on your side, then ‘pound on the table’. Mr. Albano is clearly ‘pounding on the table’. Arrrrgh! A NoKo "Fan Song Swan Song"? This is developing fast! The BBC and others report "North Korean ship with 'military cargo' held by Panama"
The Ship? The delightfully named "Chong Chon Gang" . If you still can't 'see' the resemblance, how about if I clip, flip and magnify the detail? 1. Allegedly (wink wink, nudge, nudge) there was an 'anonymous tip' about some drug smuggling. 2. Chong Chon Gang crew resisted Panamanian forces when they tried to board. 3. The NoKo freighter's Captain had a 'heart attack', and has now tried to commit suicide. 4. Seeing 'Fan Song' radar 'dish' showing up in some articles now. An S-Band FAN SONG radar is installed in one of the centrally located vans and provides target position data to a computer. It also has the added task of providing individual target position data on as many as three missiles. It must do this at the same time as it is providing target information to a system computer. 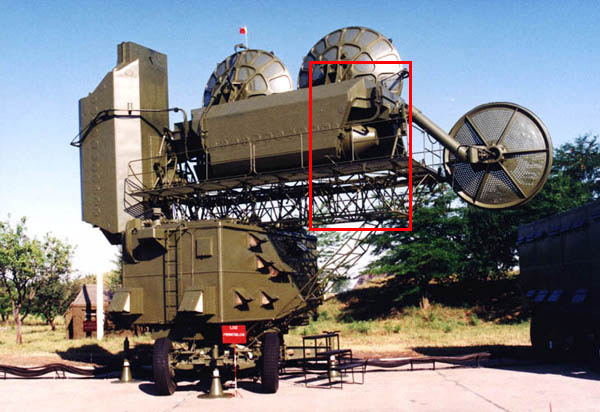 The requirement for a single radar to track and lock on to as many as four targets simultaneously necessitates that the radar continually look at several points in space. This requirement implies that the FAN SONG searches, or scans, at the same time that it locks on to, or tracks, several targets. This was in fact the case. The FAN SONG technique of locking on while searching is called Track-While-Scan. Newer versions are believed to be more capable. I'll bet this deal was a 'complicated' one to start with, and it just got more complicated. There's a new You Tube Video (link here) up with Pierre Sprey blathering his usual nonsense about 'complex' vs 'simple', 'heavy' vs. 'lightweight' fighter performance... blah... blah... blah. As if he ever knew d*ck about the topic at hand. Virtually everything he says is just as wrong or worse than the first time he spouted it off. Remember, this is all part of the POGO P.A.C.E. propaganda strategy. Pierre Sprey has never ‘designed’ anything with wings, and he still doesn’t know diddley-squat about aircraft design OR air warfare . He played a bit role in developing top level requirements at OSD for a couple of years, basically parroting whatever John Boyd or Everest Riccione were hawking that day. His ‘expertise’, as well as much that which is claimed about the rest of the so-called ‘Reformers’ was pure fabrication by James Fallows. Those fabrications have been echoing in the halls of the anti-defense lairs for consumption by the useful idiots ever since. 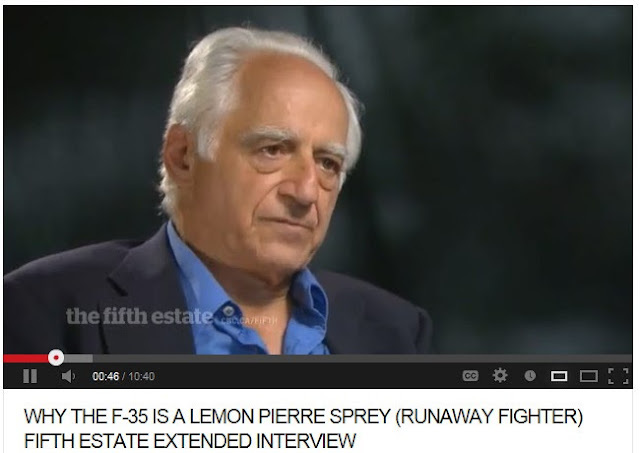 While working on the F-X, Boyd met Pierre Sprey, a weapons system analyst on the OASD/SA staff, whose background was similar to [Alain] Enthoven’s but much less distinguished. By his own account, Sprey was a dilettante with an engineering degree but no military experience. After graduation from Yale, Sprey became a research analyst at the Grumman Aircraft Corporation for space and commercial transportation projects. He came to OSD/SA in 1966, where he declared himself an expert on military fighter aircraft, despite his lack of experience. Sprey admitted being a gadfly, a nuisance, and an automatic opponent of any program he was not a part of. *Source: Pierre Sprey, Oral History Interview by Jacob Neufeld, 12 June 1971, K.239.0152-969, AFHRA, 9, passim. , as cited in THE REVOLT OF THE MAJORS: HOW THE AIR FORCE CHANGED AFTER VIETNAM, Marshall L. Michel III, 2006 (PDF). Michel gets a little too 'Fighter Pilot Uber Alles' in his thesis, and I found myself having to force my eyes to read past those parts, but it still is a good read. If you want to read a really cold-blooded delivery of a takedown concerning the so-called ‘reformers’--including Sprey-- buy and read “Military Reform: the high-tech debate in tactical air forces” by Walter Kross. Clearly POGO is focused on Canada as a 'weak link' in the JSF coalition at this time.